If your child is currently in a public school, but you’re thinking of applying to private school for middle or high school, here are tips to help you get started. Please note, we used the term “private schools” but many L.A. schools are called “independent” schools. The difference is that independent schools are non-profit and private schools are for-profit or may be run by a church or religious organization. Getting started might seem a bit overwhelming, but if you approach the application process in an organized, step-by-step manner, you will be ahead of the game when it comes time to tour your first school! Plan ahead. You will need to apply to private school one year before your child enters the school. So, if you are applying for 9th grade for 2018, you will start the process in September of 2017 or when your child is entering 8th grade. Research schools you want to visit. 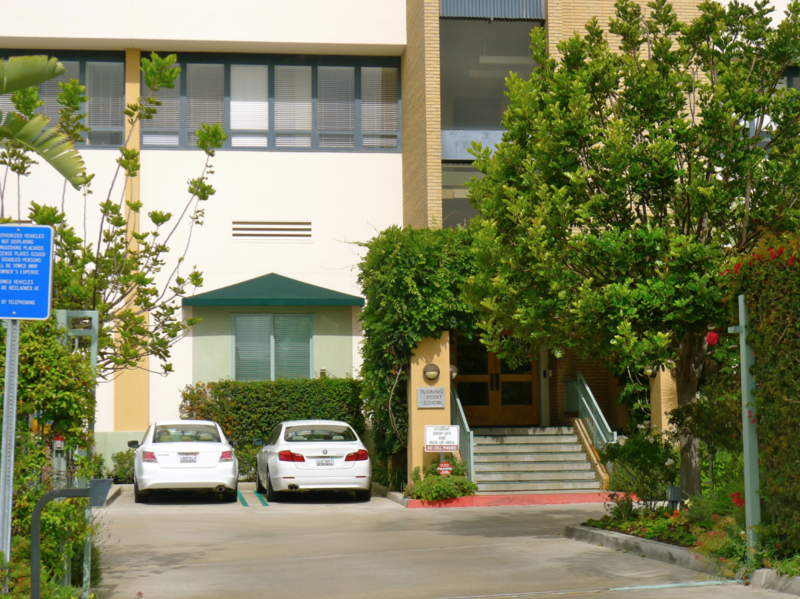 You can go to the Los Angeles Independent Schools to find a list of independent schools, but you may also want to look at Catholic schools that are run by the L.A. Archdiocese and we have a list of schools in Beyond The Brochure: An Insider’s Guide To Private Elementary Schools in Los Angeles. If you’re wondering why there isn’t just one big list, it’s because there are different types of schools that are not all governed by the same organizations. ISEE Test is the Independent School Entrance Exam. Here is a great explanation of the ISEE test by Matt Steiner of Compass Prep. The ISEE is required for grades 5-12 at most private schools. Catholic schools have their own entrance exam called the HSPT. Because the ISEE has a high degree of difficulty, many families hire test preparation companies to help their kids prepare for the exam. Here are a few excellent options: Academic Achievers, Compass Prep, Learning Encounters and Team Tutors The ISEE is administered from September-April. You should pay attention to school deadlines because the January ISEE may be too late for some schools. Note: Deadlines are final and you must meet all deadlines. Schools do not make exceptions for late applications or other missed admissions deadlines! Apply to At Least 3 Schools. No matter what grade you’re applying for, you should apply to enough schools that you maximize your child’s chances of getting in. Many schools receive far more applications than spots available, so you should consider applying to at least 3 or more schools. Follow the school’s application rules. Even if the school’s admissions process seems cumbersome or just annoying, follow the rules. Pay attention to deadlines, avoid calling the admissions office numerous times to ask questions that could be answered by looking on the website, show up on time for interviews, be nice to everyone and that includes the people at the front desk, security, the tour guides, etc. Be Familiar With Types of Private Schools. Determine the type of school you think will be best for your child (See our 7 part series about progressive or traditional educational philosophies here. Just like public magnet and charter schools, private schools differ in their mission and educational philosophy. Some private schools are a blend of educational philosophies, so it will be up to you to figure out the best fit for your child. Tuition is expensive! Some of the top private high schools cost between $35,000-$38,000/year. Tuition typically goes up 4% per year. Apply For Financial Aid If You Can’t Pay Full Tuition. Financial aid is available and is based on family need. It’s not merit-based. It is a separate application process from the admissions process. 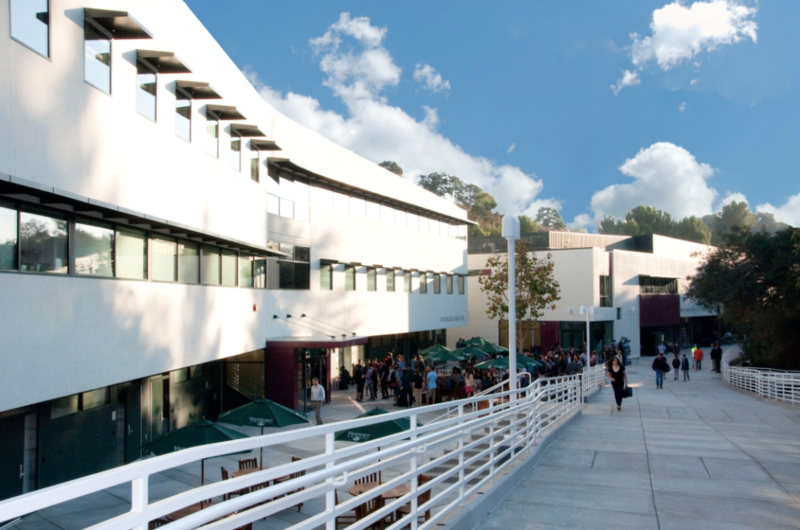 Some schools will offer admission to a family irrespective of their financial aid needs. Other schools do consider a family’s need for financial aid and it may impact the admissions decision. But, if you cannot afford the full tuition, apply for financial aid! Contacts/Connections Help, But Aren’t Necessary. You don’t need to know somebody at the school to get your child in! It can help, but it isn’t necessary, especially if you are a public school family and haven’t established those connections. Private schools understand that it is not the job of public schools to help your child get into private school. Extra-curricular activities matter to private schools. Make sure to include your kid’s sports, music, theater activities. If they don’t have significant activities, look at the activities each private school offers. Would your child really like to get involved in the school newspaper or yearbook? Tell the school that! Let them know that’s one of the reasons you’re applying. The Independent School Alliance for Minority Affairs is a non-profit that functions like a school placement organization for minority families. Check out their services! Educational Consultants. If you need help navigating the admissions process, educational consultants offer everything from one-time consultations to full-service packages. Sometimes, having an expert help you develop a list of schools and giving you advice about the admissions process or reviewing your written application can make a big difference in helping the process go smoothly. 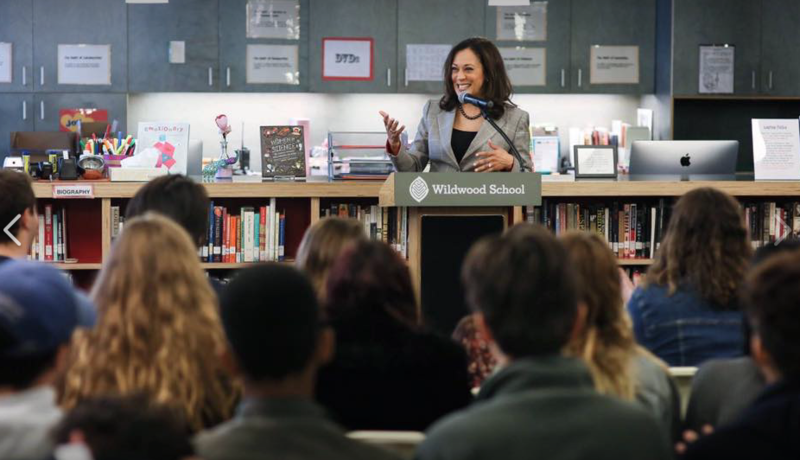 Senator Kamala Harris speaks to seniors at Wildwood Upper School in West Los Angeles. Navigating the “Gap” year between end of public elementary and start of private middle schools. One of the biggest challenges families face is the fact that public elementary schools are K-5 and private elementary schools are K-6. So, the public schools end one year before private schools end. There are also private schools that are 7-12 so that presents a challenge too. You’ll need to consider where your child go during the “gap” year that is the result of schools not aligning. There are several options we’ll discuss below. 1. Understand the points of entry. Private schools accept the majority of students for kindergarten, 6th grade, 7th grade and 9th grade. These are the grades when the most spots are open and accepting applications. Some schools will accept applications for other i.e. 3rd grade or 10th grade, but it depends of whether there are spots available. To inquire, call the admissions director to ask. You’ll need to call the admissions director one year before your child would enroll. 2. Consider a K-6 School for 6th Grade. You can also consider applying to K-6 schools for 6th. Openings will depend on whether families have left the school, but it happens! You will need to contact each school. There’s no other way to find out if they will accept an application for 6th grade. So, roll up your sleeves and, when you’re ready, start contacting schools. They will require ISEE test scores in most cases. The drawback to this approach is if your child attends 5th grade at public school, 6th grade at a K-6 and then 7th grade at a different private school, that’s 3 separate schools in 3 years, a lot of transitions for the family. But, it happens every year and it’s one way to solve the problem of the gap between end of public school and start of the 7-12 private schools. 3. Apply to private middle schools for grades 6-8 with the intent to apply out for 9th grade. This can be a good option and many of the K-8 schools expect applications for 6th and 7th grades from public school families. See Beyond The Brochure’s School Profiles for detailed profiles of selected schools. Questions arise about how parents can find out which are the “good” private schools or the “best” private schools. Public schools use the API to rank schools, but private/independent schools don’t use that measurement. Because private schools aren’t required to test students the same way public schools are, you will need to look at factors such as college placement, student/teacher ratio, teacher qualifications, AP and honors classes offered, size of the school, number of classes per grade, discipline policy, diversity of student and teacher population, standardized testing, location of the school, accreditation, head of school qualifications, campus facilities, security, extracurricular activities like sports, music and art that are offered and other factors that will contribute to your child’s education. Attending events about the admissions process can also be helpful. We keep up with these events and post on Beyond The Brochure’s Facebook Page. There are 3 types of admissions letters: Acceptance, wait-list and declined admission. 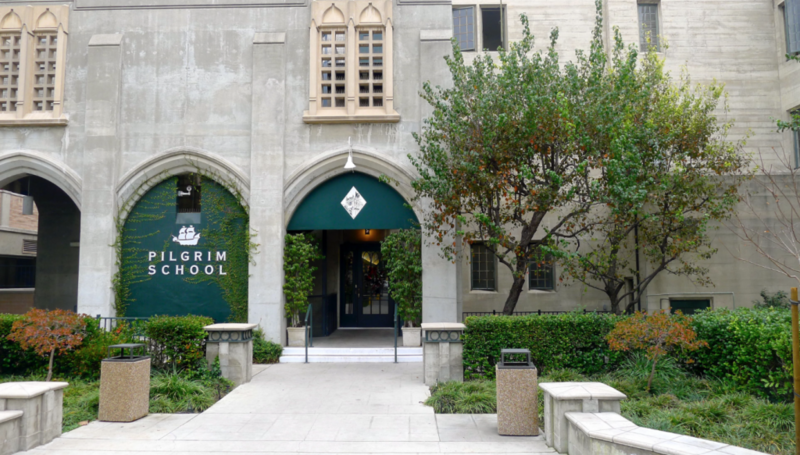 Finally, we’ve written about L.A. private school admissions on this blog since 2010, so there are lots of posts in the archives. Take some time to browse. Don’t let all the steps of the process intimidate or deter you. If you want to apply, do it! L.A. private schools want students from public schools! We’ve also written Beyond The Brochure: An Insider’s Guide To Private Elementary Schools In Los Angeles. The book is intended for parents apply to elementary school, but many of the admissions steps in the process are the same for middle and high school. The big difference is that for elementary school, the parents and the child are considered important during the process. For middle and high school, the child becomes more significant and the parents are not as central to to process. This is because older kids have grades, teacher recommendations, test scores, interviews, extracurricular activities so the school can evaluate a kid based on these factors.